Dr Md. Iqbal Kabir is Associate Professor of Epidemiology at National Institute of Preventive and Social Medicine (NIPSOM), under the Ministry of Health and Family Welfare of Bangladesh. He has been working as the Coordinator of the Climate Change and Health Promotion Unit (CCHPU) of the Health Ministry since 2010. An Epidemiologist with Doctoral degree from Australia having more than 20 years’ experience of teaching, research and project management in public health and applied epidemiology. Dr Iqbal has also worked in WHO Bangladesh for more than 7 years (2002- 2009) as Surveillance Medical Officer, Communication Officer, Technical Officer (Tobacco Control) and as International Consultant in WHO India. Scientific research papers published in several national and international journals, like Lancet, Plos One, Global Health Action, BMC Public Health etc. Scientific papers presented at Global Climate Change Adaptation Conferences. He supervised thesis of more than 20 MPH and MPhil students. Completed 2.5 m $ Climate Change and Health adaptation project as the Project Director in Bangladesh. Dr Kabir is International Steering Committee member of an ongoing WHO-DFID multi country climate resilient WASH project. He also provided technical support for a multi-country GEF-UNDP project. Participated as a member of Bangladesh delegation in several UNFCCC COPs, World Health Assemblies in Geneva, WHO Regional Meetings of SEARO, UN High Level Meting etc. In addition to the scientific endeavors he also hosts weekly Health Shows on National TV channels. 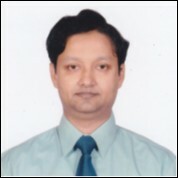 His doctoral thesis was on “Use of adaptive measures to reduce the impact of climate change on health sector in Bangladesh.” Dr Iqbal Kabir has special interest in Biometeorology and Advanced Epidemiology with a focus on Climate Change and Health.